Motorcycle saddlebags, sissy bar bags, tool bags, tote bags, tour packs and windshield bags are on sale at Motorcycle Gear Superstore. Shop for motorcycle accessories and accessory parts from the number one source for riding equipment. 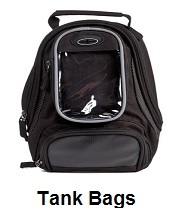 Largest selection of motorcycle saddlebags at the lowest prices on the market. Motorcycle accessories and accessory parts are added to motorcycles to help with the bikes appearance. Spice up your bike by selecting the right accessories to get the job done. 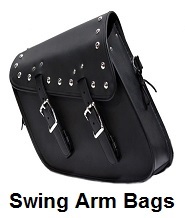 Some of our accessories include, motorcycle saddlebags, tool bags, tote bags, tour packs, windshield bags, sissy bar bags, covers, coolers, cups, flasks, flags, handlebar mounts. 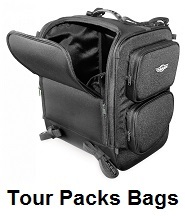 Shop and save on all motorcycle saddlebags, sissy bar bags, tour packs, tool bags, tote bags and windshield bags. 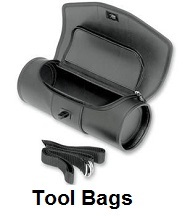 Largest selection of saddlebags for motorcycles at the lowest prices on the market. How to select the right saddlebags for motorcycles. The main consideration when selecting motorcycle saddlebags is the type of bike you are riding. You will want to select motorcycle saddlebags that fit the appearance of your bike. Cruising bikes may look good with leather saddlebags, where street bikes will look better with hard sided saddlebags. Selecting the right motorcycle saddlebags for the appearance of your bike is important. 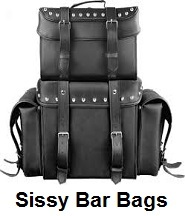 We offer all types of leather motorcycle saddlebags, we have leather saddlebags with fringe on them, studded leather saddlebags and leather motorcycle saddlebags with biker emblems on them. 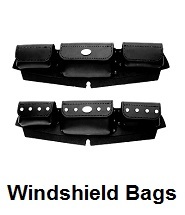 As always, you can buy leather motorcycle saddlebags at discounted prices, when you shop with us. 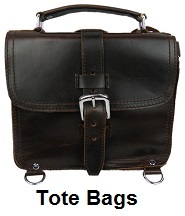 All our saddlebags, come with a 30 day unconditional return policy. 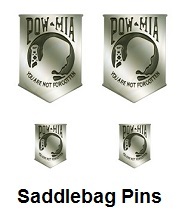 Just return any saddlebags, within 30 days and we will grant a full refund. 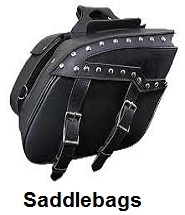 Thank you for shopping with us, we appreciate your purchase of a pair of saddlebags.